As viewers, actresses, directors and writers, women have always been central to cinema. However, full evidence of their roles has until nowremained scant and dispersed, eclipsed in historical opinion formed through thetexts of men. In magisterial scale Red Velvet Seat restores this film culture tovisibility, using women’s written accounts from the beginnings up to 1950 tounderstand the significance of cinema for them. Sources include fashion andparenting magazines, newspapers and literary journals, memoirs and etiquetteguides, while contributors range from novelists such as Virginia Woolf, Coletteand Rebecca West to psychoanalysts, poets, social reformers, labor organizers,film editors, screen beauties, and race activists. For each section, AntoniaLant and Ingrid Periz provide an introduction, explaining the historicalcontext and linking their themes to the major social and political movements oftheir time, as well as to more traditionally feminine concerns. 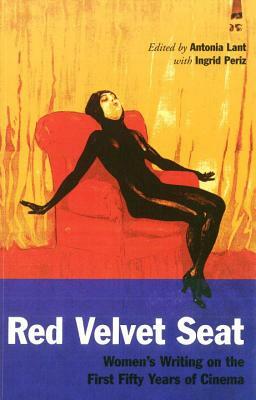 Compendious and absorbing, Red Velvet Seat is an invaluablecontribution to the history of cinema. Djuna Barnes (1892–1982) was born in Cornwall-on-Hudson, NY, and worked as a journalist in New York before leaving the country to spend many years in Paris and London. She returned to New York in 1941, and lived in Greenwich Village until her death. Born in California in 1893, Anita Loos was herself a celebrity of the Jazz Age that produced Lorelei Lee. She began writing movie scripts by the time she was twelve, and before her death in 1981 she had written an enormous number of stories, screenplays, and more. She was also the author of an autobiography, A Girl Like I.